Awhile ago, one of our employees visited a clothing consignment shop and chatted with the owner. While talking, she mentioned her shoppers often come in and ask to buy her display pieces. Frustrated, she felt they were clearly more interested in her furniture than her actual merchandise. Our employee’s response? “By all means, sell it to them!” As he pointed out, she was missing a vital niche in her community. How do you know if you’re meeting the needs of your customers and your community as a whole? It’s never too late to find out. Gain confidence that you are definitely selling the right merchandise by studying the following 3 factors. In order to know if you’re selling the right merchandise, list all the consignment, thrift and resale stores in your community. What types of products are they selling? How successful are they? Include any retail stores in your area as well. Shop each store to check prices, layout, customers and store appearance. Count the number of spaces in their parking lot. Check their websites and social media too. Read reviews on Yelp, City Search, Yahoo! Local and others. Do a Google search and see what comes up when you enter their name and your own. Chat with your customers and ask them what other resale stores they shop at and why. Gather as much information about your competition as possible. Obviously, you studied the market thoroughly before opening your store. However, the retail and resale scene changes rapidly. With the “retail apocalypse” (as it’s known in the industry), stores close, downsize and change direction constantly. Opportunities for selling the right merchandise could be missed. Look for areas being ignored by others. Since you’ve already closely reviewed your competition, determine what you can do better. Look at their strengths and your weaknesses. Can you build on their success? Do you have knowledge or expertise in an area that isn’t being covered? Consider changing something as easy as your hours, the location of your register, adding a delivery service or a personal-shopper service. Perhaps, you just need a good dose of clever marketing. 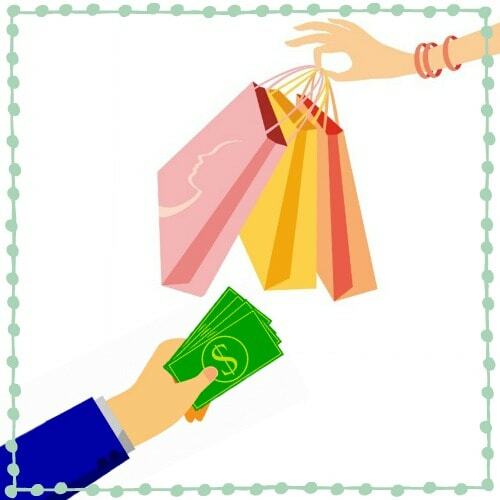 Read Top 12 sales tips you need to gain loyal shoppers to get a better idea of the opportunities available. Like the woman who owned the clothing store above, sometimes you’re completely missing the needs of your community. Just because no one else is offering consigned baby items, doesn’t mean they’ll sell in your retirement-community neighborhood. You have to understand the demographics of your area. Remember, you don’t want to solve a problem that doesn’t exist. If there isn’t a market for what you’re selling, you’re not selling the right merchandise. Dig through the 2010 Census for your area. Review NeighborhoodSCOUT for more detailed information. Be sure there’s a large enough market for the products you want to sell. Unfortunately, you can’t be a “Jack-of-all-Trades” and do it well. Selling absolutely everything in your secondhand store creates a “junk shop” feel. Concentrate on a few important, well-researched areas and you’ll be a success!